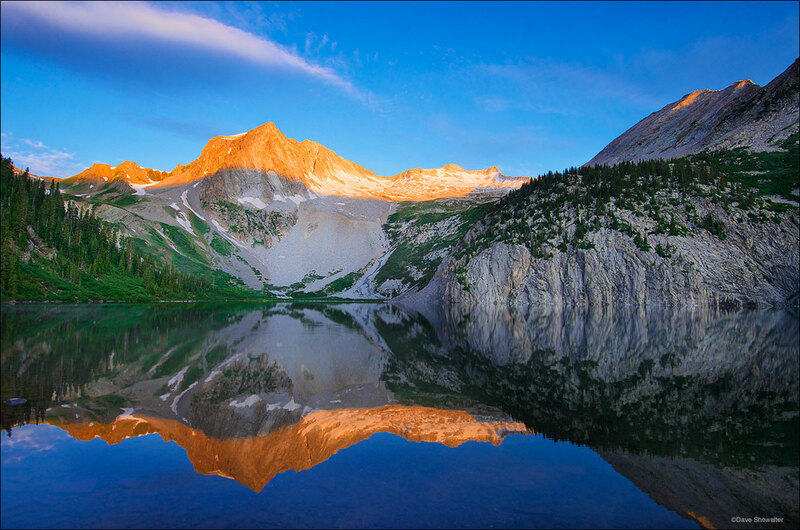 Snowmass Peak and Snowmass Mountain (14,092') are reflected in Snowmass Lake at sunrise. The viewpoint from Snowmass Lake is one of Colorado's classic illusions, the bump on the ridge to the right of the apparent high point is actually the fourteener - Snowmass Mountain. You almost need to climb the mountain to see how much smaller Snowmass Peak actually is. Photo © copyright by Dave Showalter.